The U.S. Army has said it would deploy an additional 1,500 troops in Germany, despite President Donald Trump's repeated complaints that the NATO partner is spending too little on joint defense. 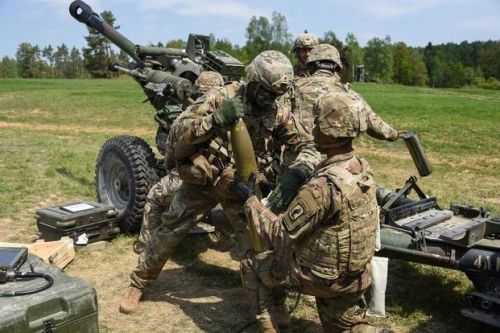 The troops will be deployed by September 2020 -- adding to more than 33,000 U.S. troops already there -- said U.S. Army Europe, which called it "a display of our continued commitment to NATO and our collective resolve to support European security". U.S. Ambassador Richard Grenell said that "Americans are committed to strengthening the transatlantic alliance and President Trump's promise to increase US defense capabilities means the alliance is stronger today". German Defence Minister Ursula von der Leyen called the new deployments "a welcome sign of the vitality of transatlantic relations" and "a commitment to common security". At a NATO summit in July, Trump called Germany "a captive of Russia" because of its energy links and a major new gas pipeline project in the works. NATO allies agreed at a summit in Wales in 2014 to move towards spending two percent of GDP on defence by 2024. But Germany, Europe's biggest economy, spends just 1.2 percent, compared with 3.5 percent for the US. The U.S. Army Europe statement said the force structure change was a result of a wider 2017 directive to build up the ranks. "As the U.S. Army grows, a significant portion of that growth will take place in Europe as the mission to defend NATO allies and deter aggression continues to be a priority," it said in a statement. � Copyright 2018 Agence France Presse.